Luke drove us in the van back to Poggio San Lorenzo and when we arrived we had a lecture from a Marco about his olive oil press. A big thanks to Francesco Lucioli for setting it up. 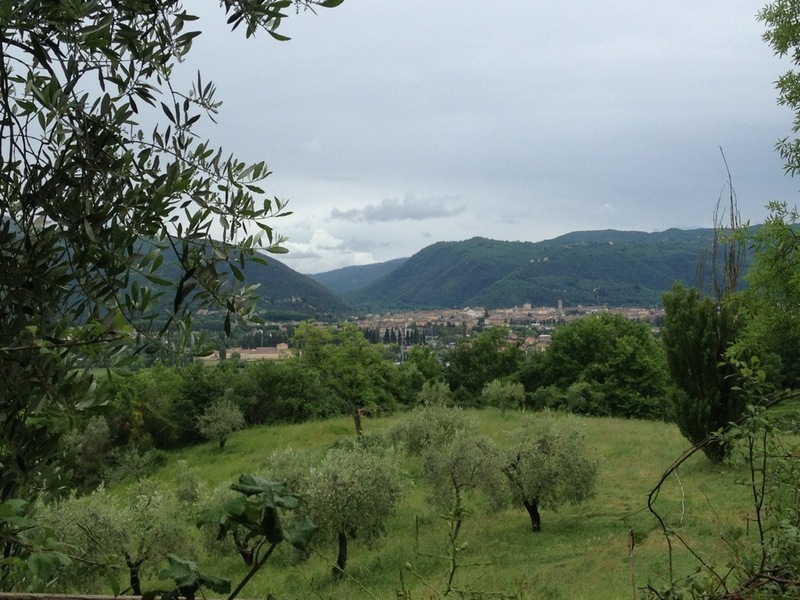 Then we walked to Ponticelli via Poggio Moiano and had a great time in the gorgeous scenery. 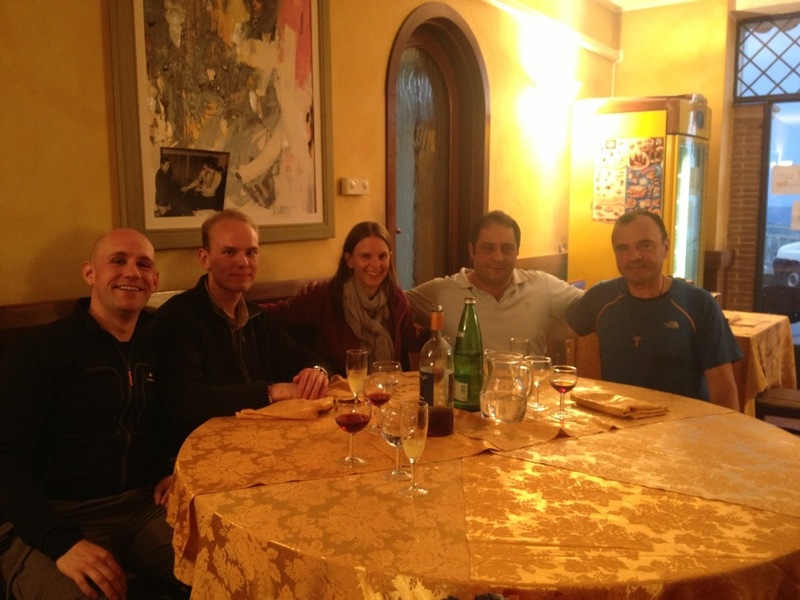 Our group poses with Francesco and Marco. 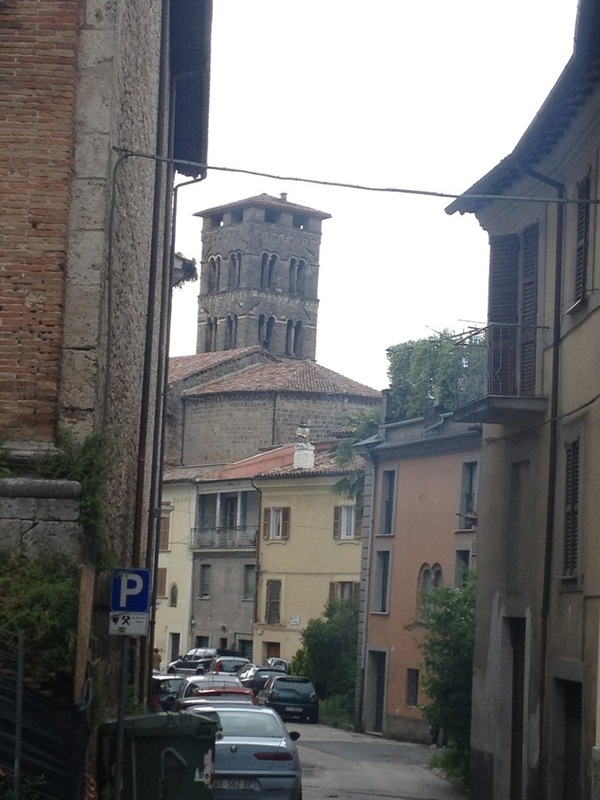 San Martini church, Poggio Moiano. Then we stayed the night in 15th century Castello Orsini. Long ago we scheduled a rest day here to give our pilgrims a break. They celebrated the special day by scattering all over town in the morning. In the afternoon we loaded up a van and drove to Greccio, scene of the first Natvity crèche, a brilliant, viral idea of Francis. What decades of unresolved anger looks like. Aussie couple Brian and Shirley are finishing up their walk to Rome using a certain guidebook. 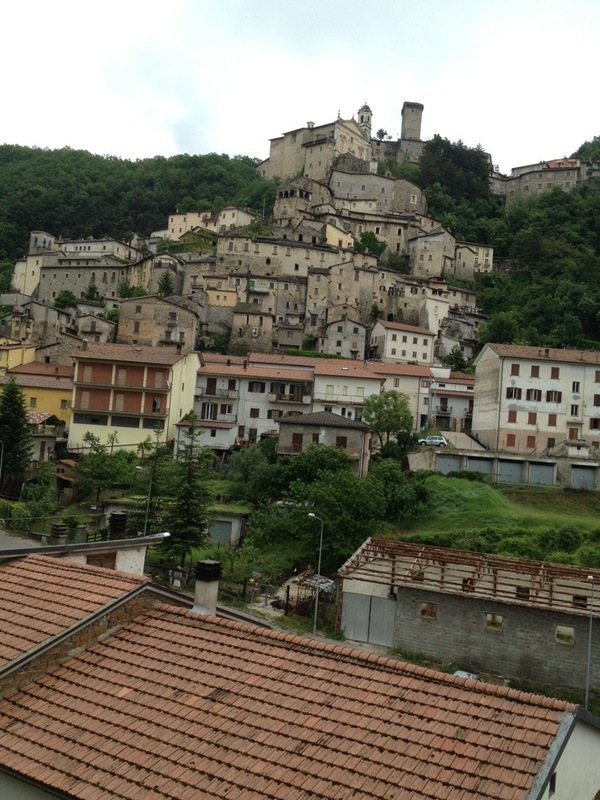 So is touring Rieti the equivalent of navel gazing? Thirteenth century fresco remembers Francis and the nativity scene. The church at Greccio includes nativity scenes from all over the world, including this one. Luke was enlisted by a friar to help arrange a bulletin board. Francis mosaic at La Foresta. 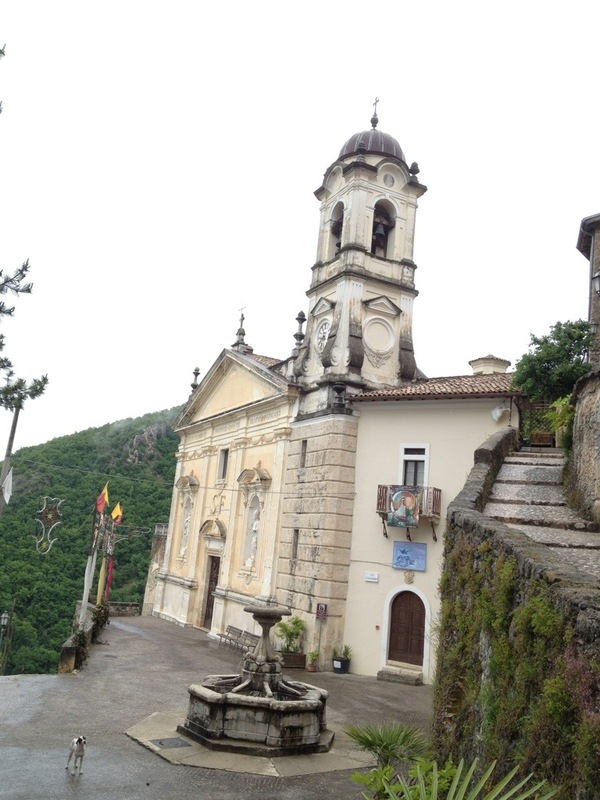 After several of our people returned from the convent above town, the rest of us climbed to Chiesa San Giovanni and then down the hill toward Cantalice, La Foresta and finally Rieti. We’re staying in a quiet [and maybe embarrassingly posh] hotel on the outskirts of town while we enjoy a well-earned day of rest. for fun I’ve added up my walking distance this year to date — 836km (520 miles). Remaining distance to Rome is just over 100 km, so I’ll end short of my 1000 km goal due to two missed and a few shortened stages, but I’m feeling a great sense of accomplishment and a kind of physical satisfaction/ecstasy. It’s been a good two months and I’m planning to savor the remaining days. First group arrives at Cantalice. Denise conquers the umpteenth stairway. Every time I see these statues they seem to be singing. St Francis statue at Rieti Cathedral. Caught on camera eating watermelon gelato with Mike (photo credit: Mary delRe). Our Rieti-based travel agent stopped in for a chat and brought some of his son’s pilgrim-themed micro-brew. Note the St Francis beech tree and Santiago scallop shell.